Last weekend in Hossegor*, my friend Olivia and I stumbled across Collective Soul and what a little gem it was! 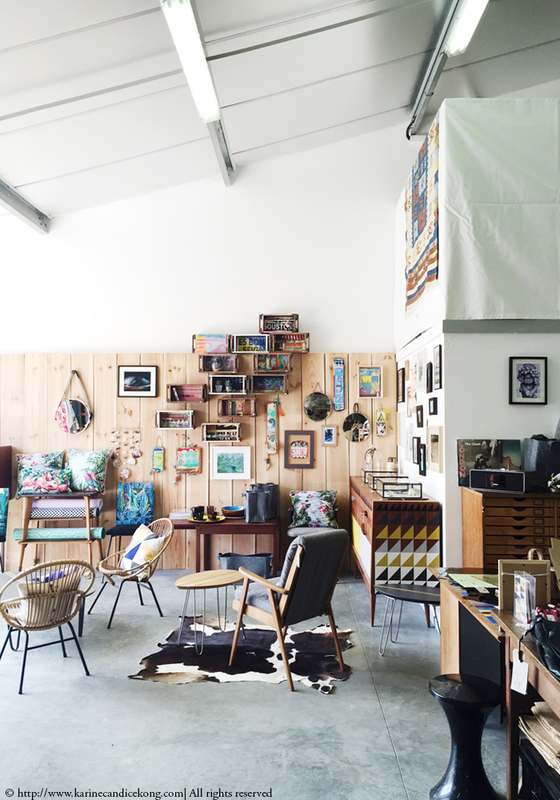 Decoration, fashion, vintage, upcycling, workshops, this atelier showroom ticks all the boxes and is one address you definitively want to bookmark if you’re planning a little trip near Hossegor and Capbreton. Collective Soul is not only a fashion brand (featured above) designed by Valérie Thévenot but also a great concept store with a well-curated home decoration and fashion collection. Collective Soul is definitively one concept store that deserves the title. Valérie stocks a lot of designs from local designers: photography from Javier Mendizabal and Damien Picaud, jewellery from Rebecca Grandmaison. She also sources and customises vintage Scandinavian furniture. She had some beautiful rattan chairs and 70s glassware and ceramics, photography books on display and a cute corner for babies. I was quite tempted by a few boho pieces from her own collection (loving this Aigle necklace and this Kalyani blouse) until I discovered she also had an amazing collection of vintage pieces from Isabel Marant, Vanessa Bruno and Maje to name a few so I treated myself to one blouse from Isabel Marant** I had on my wish list. The whole space is very inspiring and I picked up a few decoration ideas for Mila’s bedroom. What do you think of this shop? Do you have tips to share on cool places near Hossegor and Cap-Breton? *I’ve added a sub-category: Les Landes (France) under the Travel category. Great looking shop. I covert the denim jumpsuit. La prochaine fois que vous passez à la boutique, prenons un café et je vous donnerai nos adresses sympas du moment ! Il y a plusieurs endroits nouveaux à tester cette saison !! !